The 2013 European Poker Awards nominees have been announced, with the ceremony set to take place at the Elysee Biarritz in Paris, France on January 22, 2013. This year will see a scaled-down version of the European Poker Awards voting process, with one of the major categories removed from the popular award ceremony, which is now in its 12th year of existence. Missing from the list is the Poker Player of the Year Award (which is now awarded to the Top European poker player on the Global Poker Index) and as always there aren’t any nominees for the Lifetime Achievement Award, an award that is historically decided by the judges alone. The ceremony will be hosted by Kara Scott (a nominee herself) and will be part of the Euro Finals of Poker tournament Series in Paris. 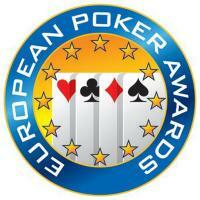 The judges’ panel for the 2013 European Poker Awards includes: Nic Szeremeta, Stephan Gollubits, Jérôme Schmidt, Barry Carter, Joe Beevers, Alexandre Dreyfus, Michael Michelin and Jesse May. My Pick – Can we finally give Tony G some love? My Pick – This award could go to a number of people, but I’ll stick with my #1 choice for the Poker Hall of Fame, Terry Rogers.